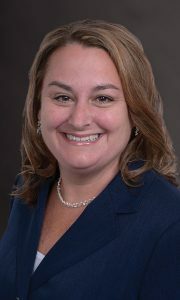 Molly Shaw is a consulting actuary with experience in applying actuarial valuation techniques in the health care and retirement benefit industries. She has been with A.V. POWELL & ASSOCIATES since 1998. Molly is a member of the St. Louis office and participates in actuarial analysis of CCRCs as part of the support team for individual client engagements. She is also responsible for providing both FORCAST and FINAID support. In her previous positions with two nationally recognized actuarial firms, she conducted numerous actuarial valuations and designed software for clients to assist in their internal analysis of retirement plan benefits. Provided actuarial analysis to fulfill state regulatory requirements to allow a CCRC to expand operations. Projected future population flows of CCRC residents for financial feasibility studies for bond financings. Evaluated contract pricing to determine whether the fee structure was adequate for a CCRC in the development stage.